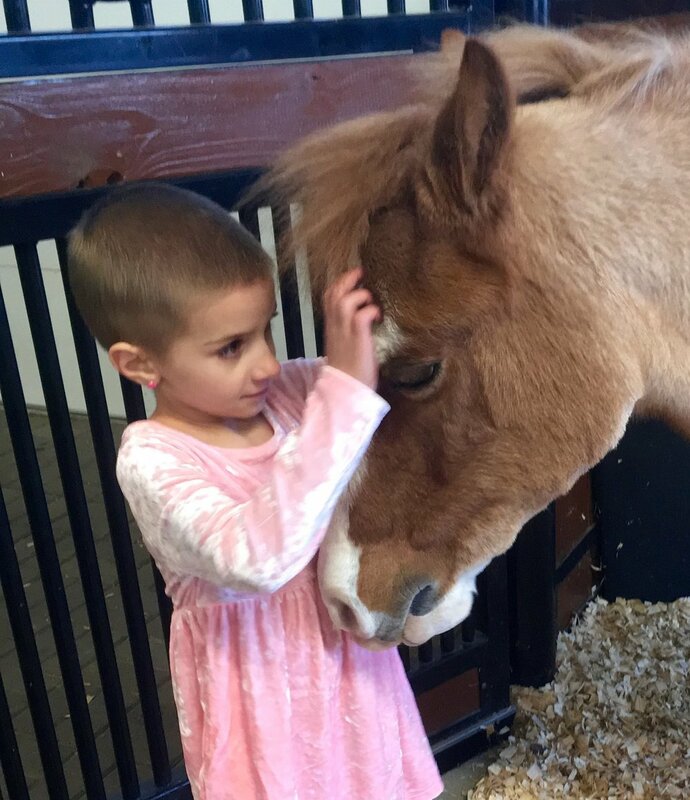 Angel Heart Farm is looking forward to serving brave and beautiful children this year with our team of equine Angels! For over 18 years we have been blessed to serve over 350 children and their families using our brand of therapy! Each month, we will be spotlighting a child, a horse or pony, a volunteer, one of our board members, and three companies that support the program. We have a busy schedule so far and look forward to more adventures! As always thank you for all the love and support! Sweet Caroline is our child of the month. This beautiful warrior, super hero, cowgirl and all around awesome girl is such a joy! She and Rocky are perfect together. Similar personalities, spunky, sweet and sassy. The first time they met, an instant connection was made. At four years old Caroline was diagnosed with a rare cancer in stage four. This kid has battled with a smile on her face, telling her nurses and doctors how much she loves them. She has the most amazing parents and big brother that love and care for her. She has melted hearts including country super star Luke Bryan. It is a true honor to have sweet Caroline a part of Angel Heart Farm. You can follow her journey at carolinestrong.com. Clovercroft Rocky Too (Rocky) is the worlds perfect pony! Just ask the hundreds of children that have their first lessons on him, or the children that talk about him non stop as if he was their best friend. Rocky was named the 2017 Welsh Pony of the Year by the Welsh Pony and Cob Society members. His accolades read like a mini novel as a show pony but his true mission is to heal children's bodies and hearts with his never ending love and compassion. Rocky is the pony heart and soul of Angel Heart Farm. Rocky will celebrate his 28th birthday this year, he is happy, healthy and adored. Please read more about rocky in the article on our news page. Sally Ross Davis is what we call a multi tasker extraordinaire. Sally Ross is a full time employee of her state in the financial industry, a full time pony trainer, riding instructor, full time wife and mother to a college student and a 5th grader. She also is part owner of Rollingwoods Welsh Ponies along with her sisters Dr. Ruth Wilburn and Joanna Wilburn. Sally Ross's commitment to Angel Heart Farm and the children and equine is a true blessing to us. her expertise in the financial industry, pony and riding knowledge as well her quick humor and compassion for children makes her the Spotlight Board Member this month! Sally Ross is pictured with her youngest son Mason, multi champion pony rider. 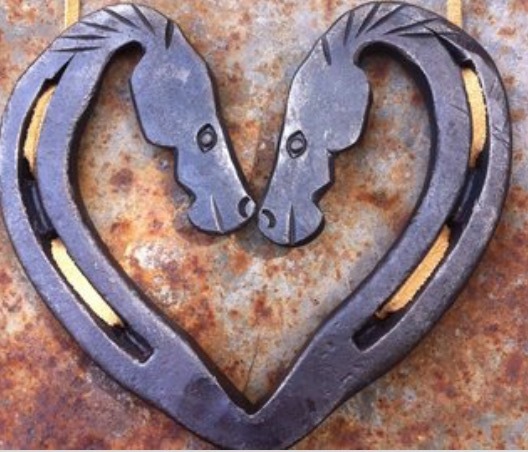 We have been using Farrier Formula's products for years! They are best on the market and keep our equines hooves in great condition along with our farrier Todd Starr. This amazing company commitment to keeping with the philosophy No hoof no horse to a new level. The research they put into each product they market is extensive and it works! Please check out their website and learn more about this leader in the equine world. We always say we want our children to have the best and for years Dan Post boots have delivered boots, boots and more boots to our children we serve. They are the real deal when it comes to quality and craftsmanship. As soon as our kids receive their boots they stand a little taller and feel like they are real cowboys and cowgirls. Parents appreciate the quality. The staff at Dan Post always make sure they children get their favorite color of boots too! We have a big project in the works with Dan Post and will be announcing it real soon. Todd Starr is one of the most well respected horseshoer in the state of Tennessee. His 30 year plus experience in the industry and his gift of time and talent is crucial to the health and well being of Angel Heart Farm's equine. We could not do what we do with out him. Todd is always fun to talk with and listens to any concerns regarding our equine. He is one of the busiest farriers out there but makes time for us. We are truly blessed to have Todd Starr not only as a volunteer but friend and supporter of the program.